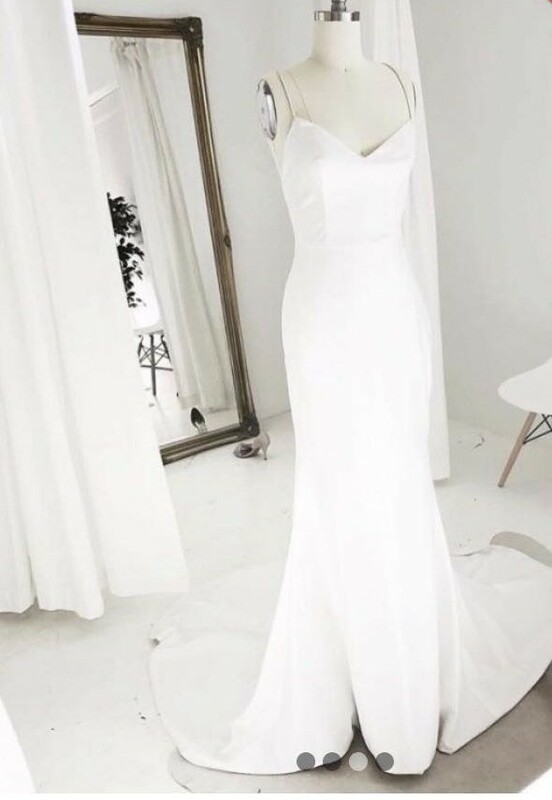 BRAND NEW Delila Fox Oli Gown. I bought this gorgeous dress for my own wedding but unfortunately we have had to postpone the date indefinitely. The Oli Gown has a low back with cami style front, V-neckline and spaghetti straps that form a beautiful cross pattern at the back. It has a medium length train. Classic and elegant style. It is sized XS but does feel quite generous, and would fit AU size 6-8. It is unaltered and still in original bag. It was bought from Babushka Ballerina in Sydney in October 2018. * Sold without lace top as in photos.